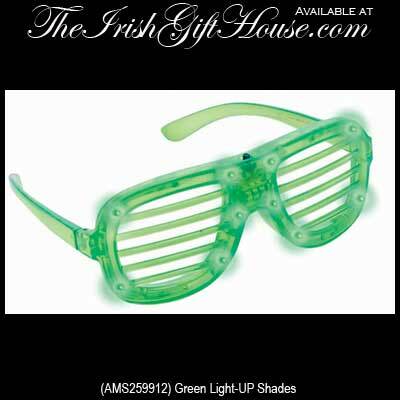 These Irish eye glasses may not help your vision but they will make you look your best on St. Patrick's Day. The light up Irish shades from The Irish Gift House have 3 different flashing effects and they are really bright. The plastic green shades have louvered slats across the lens areas and will fit most adult faces.